The Michelin Guide has launched its first-ever guide in Guangzhou, the home of Cantonese food, in southern China, the second mainland city to be featured after Shanghai. Of the 63 restaurants featured in the guide, eight restaurants have been given one Michelin star, however no restaurants on the list earned two stars or three stars. 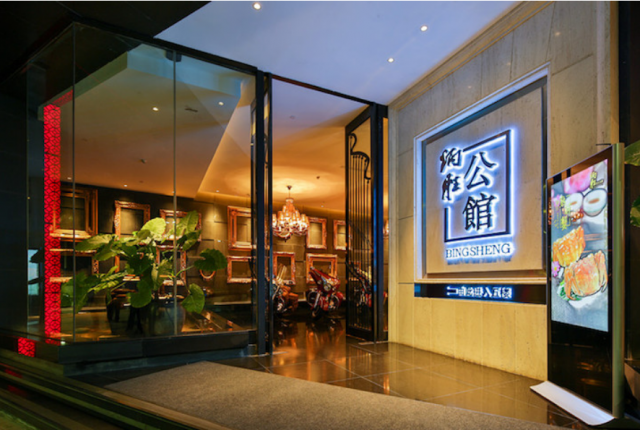 The eight one Michelin-starred restaurants are Bing Sheng Mansion, Bing Sheng Private Kitchen, Jade River, Jiang by Chef Fei, Lai Heen, Lei Garden (Yuexiu), Wisca (Haizhu) and Yu Yue Heen. All eight restaurants specialise in Cantonese cuisine. The Guangzhou selection also featured 20 restaurants which were awarded a Bib Gourmand, an award handed out by Michelin inspectors to eateries offering good value food and for providing a quality menu under RMB 200 (US$30). Tong Ji, a restaurant that has been running for more than 30 years and tucked in alley, earned a Bib Gourmand for its signature dish of steamed chicken and stir-fried ribbon rice noodles. Jian Ji won the ‘Respectable Recipe Award’ for their noodles, a staple on the menu for over 50 years using the same traditional recipe and cooking methods. Ze 8 won the ‘Revitalized Cuisine Award’ for turning traditional and representative Cantonese clay pot dishes into highly popular modern interpretations, said the guide book. Another 35 restaurants were awarded a Michelin Plate for their solid cooking skills, to indicate to customers that they will be able to enjoy a carefully prepared meal using fresh ingredients. Michelin launched its Shanghai guide in 2016, but was criticized at the time for awarding only “high-end and expensive” restaurants.